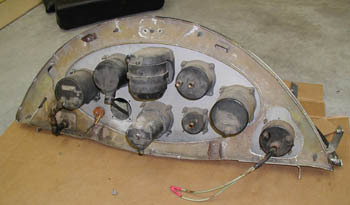 Panel originally used oval shock mounted panel. Shock mount brackets have been cut off and panel covered with flat faceplate. Original panel material cracked and unusable. Needs complete replacement. EGT mount hacked into panel. Should use nut plates on panel upper edge where attachment screws to coaming come through. Static system present but not connected. 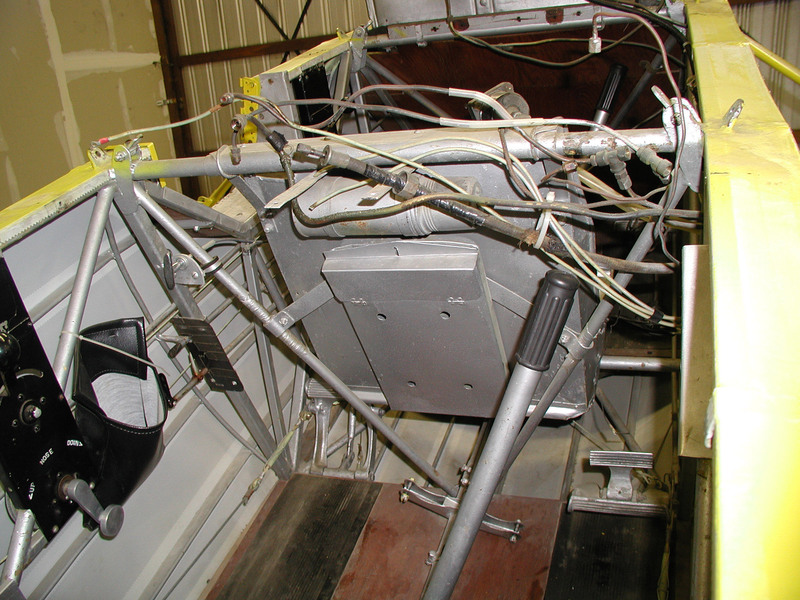 Wide angle view of rear instrument panel plumbing. 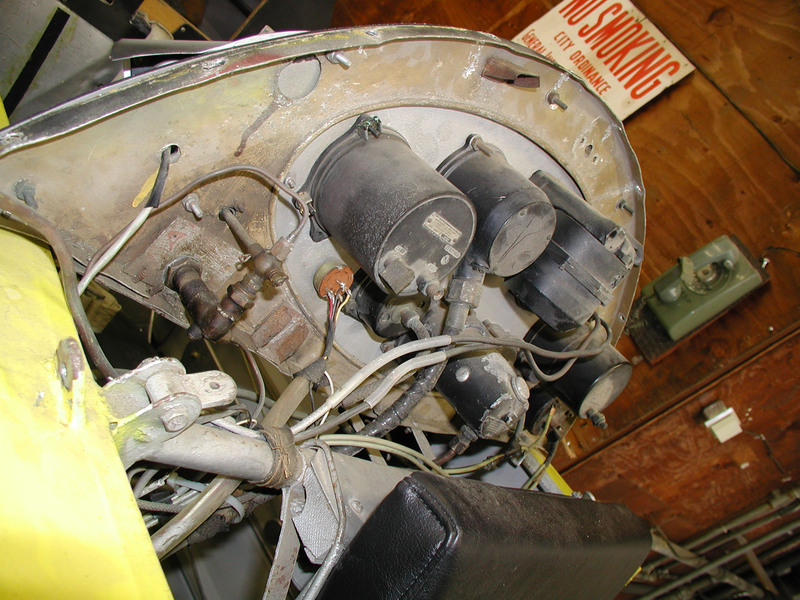 Detail view of rear instrument panel plumbing. 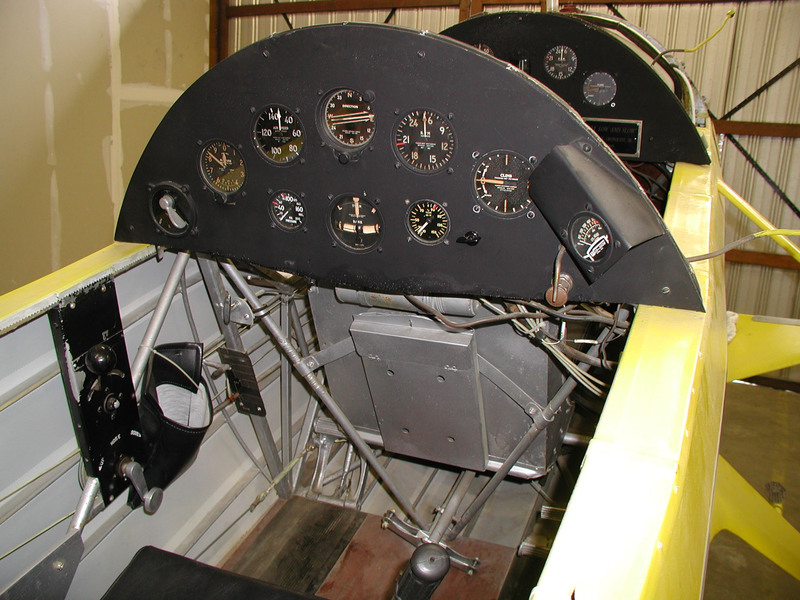 See comments on front panel. Rear instrument panel front view. Rear instrument panel rear view. Rear cockpit minus instrument panel. The fuel selector panel is bolted and Adel-clamped in an ad-hoc way, but not too bad. Probably should have a locking control cable. 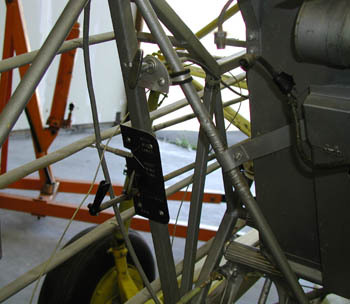 The control cable itself was not well secured to the firewall or forward bulkheads, and could move around at the engine-end. 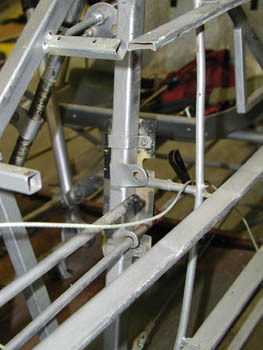 Throttle quadrant bolts to brackets on the frame at top and bottom, and one screw directly into the tubing at the forward end in the middle of the throttle cover plate. Throttle level placard painted over - should be restored. Fuel selector panel may have been modified from original - should be researched. 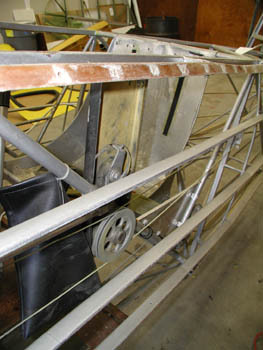 Has positions and drive shaft for wing tanks as well as main tank. Select tube for second valve installed but not hooked up at either end of shaft. Selector shafts cannot be removed with dropping engine. Fuel selector panel bolted to frame, and positions for wing tanks taped over. Rear side of fuel selector panel and carb heat control (above). 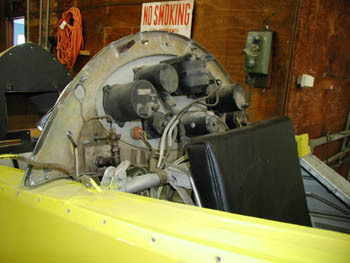 Forward side of the fuel selector panel. Notice upper position for wing tank selection is empty. Back of the rear cockpit throttle and trim panel.